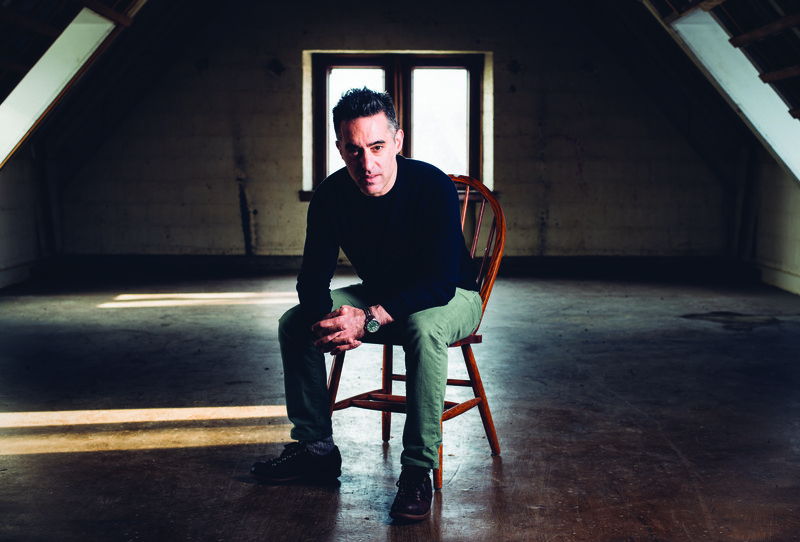 In his second novel, Dinner at the Center of the Earth, Nathan Englander takes on his toughest topic and format to date—the Israeli-Palestinian conflict, wrapped in the guise of an international thriller. The story is told from many points of view, but begins with Prisoner Z, an American Jew who came to Hebrew University in the mid-1990s, captivated by the atmosphere: “Crammed together at those study tables were religious and secular, Arab and Jew, rich and poor, white and brown and (sometimes) black,” Englander writes. Prisoner Z sees the campus as a refuge from politics and a sign of what could be: “They were up on the mountain, waiting for the inevitable harmony to set in.” At the same time, he carries a chip on his shoulder from the anti-Semitism he faced as a yeshiva boy on Long Island. By the time we meet him, he’s made aliyah and been recruited by the Mossad for a convoluted spy operation in Berlin involving a fake identity, a yacht and a Palestinian businessman named Farid. As a result of the operation and its consequences, Prisoner Z knowingly betrays his new country and lands in a secret bunker prison in the Negev. The man who put him there is the General, a not-so-subtle stand-in for Ariel Sharon. The General has been shot and now lies in his hospital bed in a coma, but the reader has access to his thoughts. Though this is Prisoner Z’s story, it is the General who is the more sympathetic and interesting character. As a young warrior, the General is ordered by David Ben-Gurion to do what the prime minister and his elevated ilk couldn’t—make the shedding of Jewish blood expensive. “They’d used [me] as a scapegoat from the beginning,” the General reflects. That Englander could make this character relatable is one of his great feats. Nathan Englander. Photo by Joshua Englander. Englander is at his best when he’s in the heads of his characters, showing their complicated rationales for the choices they make. This includes Farid, whose business deals fund his brother’s terrorist acts back in Gaza. He can emotionally distance himself from the violence until the Israelis bomb his brother’s house. The novel is not doctrinaire; to Englander’s credit, everyone has his say. But it isn’t really a thriller, either. Hapless Prisoner Z doesn’t feel like someone the Mossad would have been interested in to begin with, and his mistakes, particularly when he’s on the run in Paris and takes up with a beautiful waitress, are so rookie that it’s almost a relief when he’s captured. The young soldier guarding Prisoner Z, referred to as the Guard, is the son of Ruthi, the General’s trusted assistant, a woman who has been his right hand for decades. She loves the General. Her son, however, does not love his gig, which has lasted for 12 years, even as the man who ordered it lies unconscious. In the end, both mother and son are babysitters. The son guards Prisoner Z, whom he’s come to like, and who waits in limbo for he knows not what, while the mother sits day and night by the bedside of the General, now a symbol more than a person. Like the Jewish people, mother and son are forever bickering over politics, even as they are stuck in their moribund roles. Yet they are also tender, loving and dependent on each other. They live side by side, trying, like many of us, to figure out what exactly is going to happen next. Sharon Pomerantz, author of Rich Boy, is at work on her second novel.